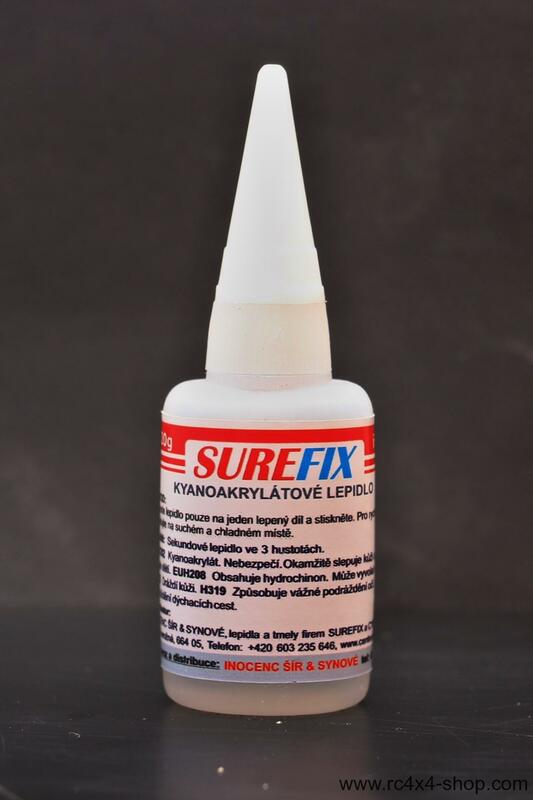 This is high quality Surefix CA Glue. This glue is suitable for all our products. Works with all materials that we are using for manufacturing of our products. Can be used to attach: Rubber to plastics, rubber to rubber, plastics to plastics. Works also with clear plastics. Will be working with other materials. NOTE: Keep on mind that this is CA glue that glues everything very quickly. Also your fingers! Be carefull!